Our jeweled sunflower shoe clip will add just the right amount of sparkle to your shoe. 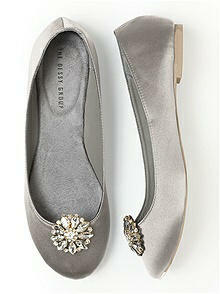 Pair it with our simple ballet flat as pictured or with a basic pair of heels. 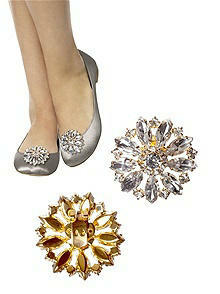 Choose from silver or gold setting.